Our mission is to connect local doctors with the resources needed to start clinics in settings of extreme poverty globally. Community Health Council (CHC) is a global health organization empowering local doctors to start private practices in settings of extreme poverty. CHC is a US-based non-profit currently operating in Haiti and Peru. 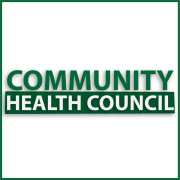 Would you recommend COMMUNITY HEALTH COUNCIL?